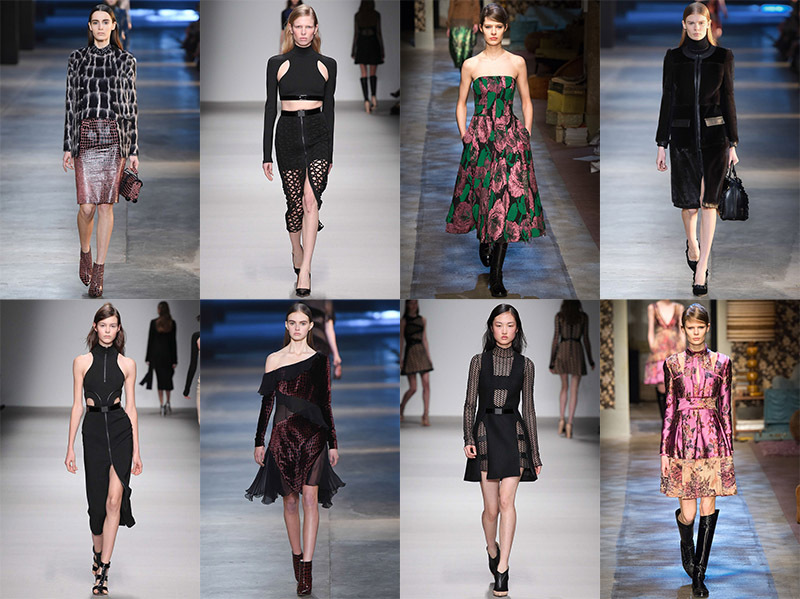 What I loved about the London fashion week was David Koma´s black mesh and cutout dresses, Christopher Kane´s collection, especially that one shoulder dress and the reptile prints. Also the all black look above is amazing. 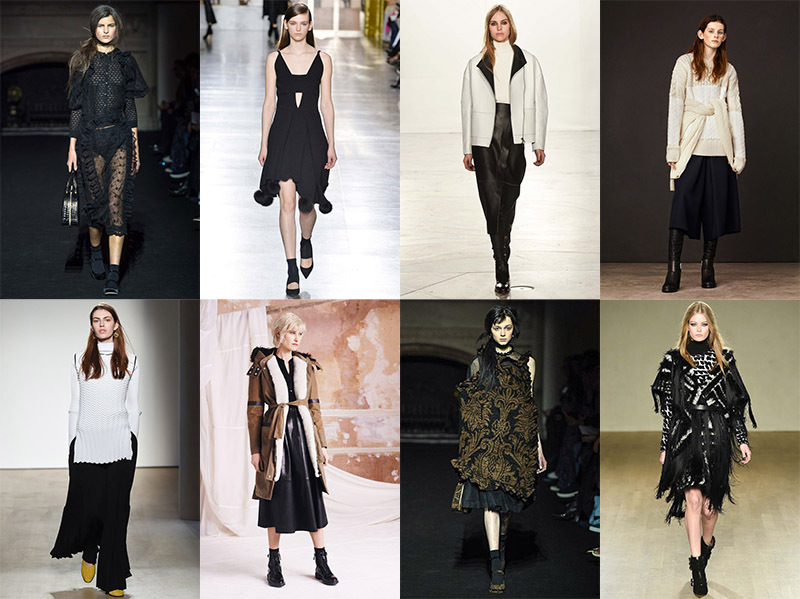 Phoebe English´s collection was also amazing, just like her SS15 collection. I guess black and white with mesh details will always work for me. Roksanda´s and J.W. 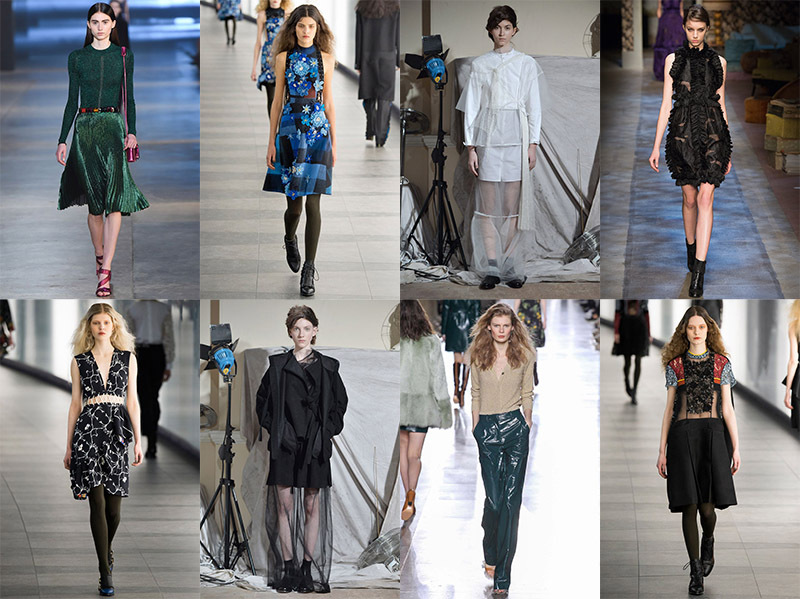 Anderson´s collections was refreshing from all the other shows because of the 80´s vibe that J.W. 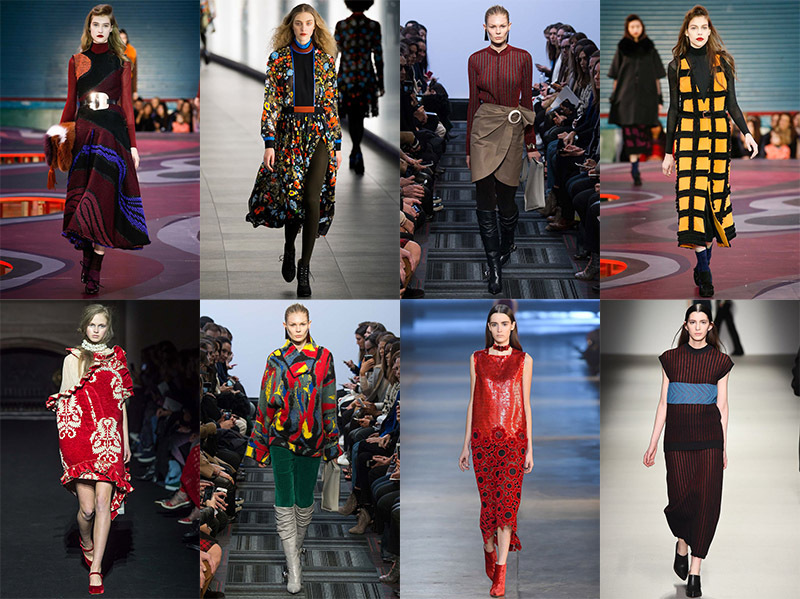 Anderson showed and Roksanda´s soft and warm collection with interesting colors and patterns. Lontoon muotiviikkojen lemppareitani olivat David Koman mustat mekot verkkoyksityiskohtineen ja leikkauksineen sekä Christopher Kanen mallisto ja Phoebe Englishin mustavalkoinen mallisto. Mukavaa vaihtelua muotiviikkojen aika 70-lukuun keskittyvän teeman keskelle oli J.W. Andersonin kasarityylit. Myös Roksandan pehmeän ja lämpimän näköiset värikkäät mekot olivat mielenkiintoisia.